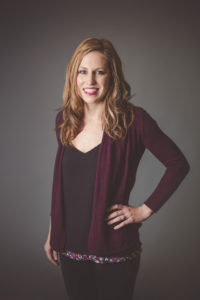 Megan is a graduate of Michigan State University with a degree in Kinesiology. She grew up in Hudsonville, Michigan and has been dancing since she was three years old. Megan grew up dancing at Body Language Dance Company, where she competed in tap, hip-hop and jazz regionally and nationally while taking technical classes in ballet, tap and jazz. Megan has taught at several local Mid-Michigan studios for over 5 years where she put together numerous routines which have competed both regionally and nationally. She has won several choreography awards and placed in the top 10 numerous times with her dances. In the summer of 2012 & 2016, Megan attended the Dance Teacher Summit in New York City where she was trained by several professional dancers including Travis Wall, Twitch, and Ray Leeper. Megan has also obtained certifications in PiYo Live! and POUND fitness to help launch the fitness side of dance. She is employed at the YMCA Wellness Center in Lansing where she specializes in group fitness and is certified through the American College of Sports Medicine (ACSM) for personal training. In addition to dance, Megan enjoys crafting, traveling and cooking. She is ALSO the proud owner of Dancy Pantz Boutique in Okemos! Megan is currently instructing recreational & competitive dance classes along with strength & conditioning at KIO!